Our excellence as drywall contractors is evident in our work. You can trust our company for all drywall needs in California. We can repair drywalls at homes and companies with equal perfection. We have numerous teams and promise excellent drywall repair services. Do you need drywall repair or installation? “Drywall Repair Woodland Hills” keeps it simple. We provide professional services, rely on quality products, and offer unmatched customer service. These are our formulas for keeping our customers satisfied. We strive to meet all their needs and work beyond their expectations. To achieve our objectives, we start by investing in state of the art tools and equipment necessary for the job. Only experienced and highly skilled tradesmen are hired for the jobs. 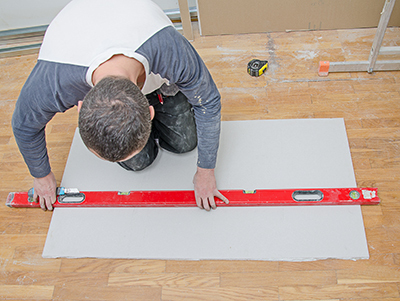 Hanging a drywall doesn’t have to be such a daunting task. With the right materials, tools, and some surprisingly easy techniques, our prestigious company provides you the smooth walls and ceilings. Through the talented hands of our experienced workers, we offer quintessential expertise, including curves, bull-nose beads, vaults and arches. Every step is carefully planned and executed, to ensure quality results. For sanding and patching, we use high power lights for a seamless finish. Customers looking for help with their new home or remodeling project trust our prompt, courteous, and fair service. We strive to complete the job on schedule with splendid results. 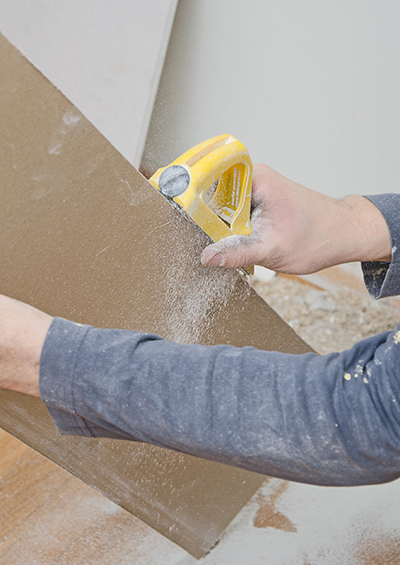 There are various reasons why you would be in need of drywall repair. From a small home to major water damage, or even a sagging ceiling, we have the consummate solutions. We offer patch repair, wall plastering, and drywall removal. Our repair experts are skilled in every aspect of drywall work. They perform thorough evaluation of the damage and fix it efficiently. Working with this construction material is tricky, but you never need worry, since we are here to assist and guide during the entire process. We treat every home as if it is ours, and are highly experienced in working with various projects that require precision, diligence, and reliability. Our team is also known for on-time completion. Besides drywall, we also install and repair plaster. We focus on superior remodeling and construction, using the best products available. Our goal is to bring admirable looking results no matter how small the area is. Plaster repair is almost a lost art since it has been replaced by drywall, but our dynamic professionals know how to do it exceptionally. What we offer is long-lasting repair, and our techniques are honest and effective. Call Drywall Repair Woodland Hills today and we will be glad to tell you more about our services for both residential and commercial properties in the city.